Often branching out and recording songs specific to the mainstream media, pop/rock trio Needtobreathe, comprising of brothers Bear, and Bo, and good friend Seth, are one such band who have grown on me immensely throughout the years, as they have wowed us again and again with their honest lyrics, catchy music and southern rock goodness. Providing us with plenty of inspiring and thought provoking messages to ponder over as well; in their last album Rivers In The Wasteland alone, there were plenty of songs that personally impacted and spoke to me, such as “Wasteland”, “Multiplied”, “The Heart” and “Difference Maker”. Personally, I think that the trio deserve their many Dove Award and Grammy Award nominations and wins, and maybe some more- and it’s only fitting that their 5 critically acclaimed and successful albums to date are celebrated in a mega 17 track sublime live album releasing this coming week, titled Live From The Woods; exactly one year since Rivers In The Wasteland. The Tour De Compadres starts in late April, featuring Needtobreathe as the headliners and Switchfoot, Colony House, Drew Holcomb & The Neighbors, and Ben Rector as supporting acts, and this live album, while recorded on another tour, is a snapshot of what we can expect from these humble men of God as they perform for us and share their life experiences. Releasing on a day coinciding with releases from Lauren Daigle and Amy Grant; let’s dive in, and see how this album stacks up other greatest hits/live albums from other artists this year/last year! Recording live albums are tricky. You want the band or artists in question to be authentic and include raw audio of a special, unique and magical night (or nights), yet you don’t want the recording to sound too bootlegish. So some post-production is needed. But you also don’t want the recordings to sound too similar to the studio versions, otherwise why record a live album? Thankfully, Needtobreathe exquisitely invite us into a near-flawless performance, as we hear the same passion, honesty and emotion previously bared in the studio versions, but also the live atmosphere and the emotions of the crowd as well. The result is song after song that I want to listen to again and again. Wearing their heart on their sleeve, a couple of tracks I heard before the others were “Wasteland” and “Wanted Man”, previously on the Tour De Compadres sampler. While both live versions are unashamed, unibhibited, and raw emotionally, both melodies sooth my soul and are as close to the original version as you can get. “Wasteland” is a moving, rousing guitar led ballad turned epic anthem, where Bear ardently reminds us that God is on our side, and that no one can be against us, even as we are walking through our literal and metaphorical wastelands. With a three minute spontaneous ‘free worship’ style ending attached to the song, we are delivered a punch that makes me proud of Needtobreathe’s overtness of their faith even in their concerts! “Wanted Man” stands tall at nearly 8 minutes, and is a relationship song driven by acoustic guitar, as Bear and co. sing about how they are men who are spoken for- in a relationship with their loved ones. Their openness to talk about their relationships in this song is bold and courageous, and should inspire us to be more frank and honest about the goings-on and personal events occurring in our lives. 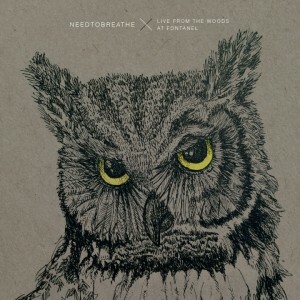 Well done Needtobreathe for these intriguing and motivational songs, making me enjoy the other 15 all the more. A listen and glance through the rest of the track list reminds me how much Needtobreathe have grown musically and spiritually as we remember their passion and strong heart for Jesus. “Multiplied”, a fan favourite, starts off with a racaous and explosive guitar and synth driven verse segued into a stellar acapella chorus that overtly praises God- an inspiring track sure to minister to all who listen. Honest and emotional, courageous and daring, this song of admission and surrender is sure to confront the non-believer, hopefully in a good way, when they listen to the record. Co-written with Ed Cash, hopefully this song brings many people to Jesus. As Bear earnestly cries out ‘…Your love will surely come find us, like blazing wild fire, singing Your name…’, I can’t help but be proud and happy for the band, that their faith hasn’t wavered throughout their success. Despite trials and tribulations, this song is the testimony from the band of getting through the other side, and is also musically brilliant. With simple lyrics, “Multiplied” is just one of a few songs where Needtobreathe reminds us that this world is only temporary, while the band also cleverly mix in worship songs with other thought provoking songs about life. The acoustic guitar driven and in-your face “Difference Maker”, sung at a slower pace, has 2 meanings, as it could be us singing about how we all are difference makers in this world, and that only God can reveal to us what we are put on this Earth for; or it can also be a satirical piece, as Bear’s persona could be a very egotisical artist asserting that only he can speak to God and make a difference, and not anyone else. Either way, this layered track creates questions, kudos to the band for motivating us to change. The electric guitar led “Keep Your Eyes Open”, similar in style to the original version except sung with a fuller band, reminds us to keep pressing on, looking to God and ensuring our eyes are open, never straying away from the narrow road and onto the wide road, as God is calling us, and singing ‘…so tell me you’re strong, tell me you see, I need to hear it, can you promise me to keep your eyes open, my love…’. The 2009 smash hit “Something Beautiful” is also present, and is an acoustic guitar worship anthem celebrating God’s creation, and reminding us why we can worship God, and long for Him to touch us with something beautiful- His presence; while “State I’m In” is an identity searching guitar rocker, with Bear, Bo and Seth asking loved ones to help them through ‘a state’ so that they can find out their purpose and meaning. The bass guitar and keys led rocker “Drive All Night”, recorded in 2011, is another track where the trio ask the question about searching for meaning, as we remember that God holds the key, and that someday, the villains won’t win, and that God will ensure that His children will ‘…be the song to march us on…’. The country inspired guitar led mid-tempo feel good anthem “The Heart” (also featured on the season 4 finale of Hart Of Dixie, sung by the cast), emphatically and passionately declares that the heart is the most important facet of our being- where the band declare ‘…long live the heart, long live the soul that knows what it wants, that piece you can find, that part is the whole, it never lets go…’, inspiring us to chase after our dreams and never doubt what God has put in our hearts, to just run with our desires and dreams with no fear. And songs like “Oh Carolina” and “Girl Named Tennessee”, though not my favourite on the album, vividly depict Bear’s love for his spouse, comparing it to his love for cities and countries in the U.S., and reminding us subtly and covertly that God’s love for us is infinitely more than any love that we can imagine, yes even Bear’s love for Tennessee and Carolina! With many songs on this live/best of album containing simple yet effective lyrics, the back end of the album gently and eloquently reminds us of eternal truths and reinforces why Jesus is the best thing in our lives period; and it’s quite brilliant when the crowd are energetic and enthusiastic about such spiritual and thought provoking topics. “The Outsiders”, led by the banjo and having a folk influence over the track, reinforces that we as Christians are strangers in this land, as Bear reiterates that he doesn’t fit in with the rest of the world because of his beliefs, however the end tag refrain shows us hope that ‘…on the outside, you’re free to roam, on the outside, we’ve found a home, on the outside, there’s more to see, on the outside, we choose to be…’. The last three tracks form a bit of an encore of sorts (that’s what I was sensing…was I right?- and it’s weird about the crowd fade-outs don’t you think? ), and each of the three melodies are confronting in their own way. The acoustic guitar driven “More Heart, Less Attack” speaks about peace and acceptance, calling us to love more rather attack those with different views than us; while the electronic Beatles-esque remix type anthem “Feet Don’t Fail Me Now” is where Bear chooses to be headstrong and determined to fight for his dream, even if his feet are sluggish and have a delayed response. While the final track, the acoustic guitar and banjo prominent “Devil’s Been Talkin’”, again another confronting melody, is about how sometimes the devil can speak into our lives whether we want him to our not, making us believe lies that we should rebuke in Jesus’ name. Yet for all of these inspiring, moving and captivating Needtobreathe melodies; it is “Washed By The Water” and “Brother” which move and impact me the most. Just a few weeks ago, Needtobreathe collaborated with Gavin DeGraw for a compelling and fascinating music video for “Brother”, and it was this video that made me realise that this band is something special, that God has placed a calling on their hearts, and they are running with it, with no regrets, which is admirable and inspiring. With the live version being more acoustic and stripped down than the already near perfect studio versions, the resounding message of the song is still the same, being that we can rely and count on our brothers as well as spiritual brothers and sisters in Christ, in any circumstance, as well as being able to rely and count on God. “Washed By The Water”, a straight up worship song, is similar in theme of Carrie Underwood’s “Something In The Water”, reminding us about the power of water when anointed in Jesus’ name. Now, I know, water isn’t holy, but Jesus who made the water is, and as the band prayerfully and honestly remind us that God washes us clean every day, that ‘…even when the rain falls, even when the flood starts rising, even when the storm comes, I am washed by the water…’, I can’t help but sing and worship along with the band as they emphatically leave nothing to imagination in respect to their faith, with is a bold yet welcomed move that can draw people to Christ. Well done guys for a thoroughly enjoyable live album full of gems and treasures! 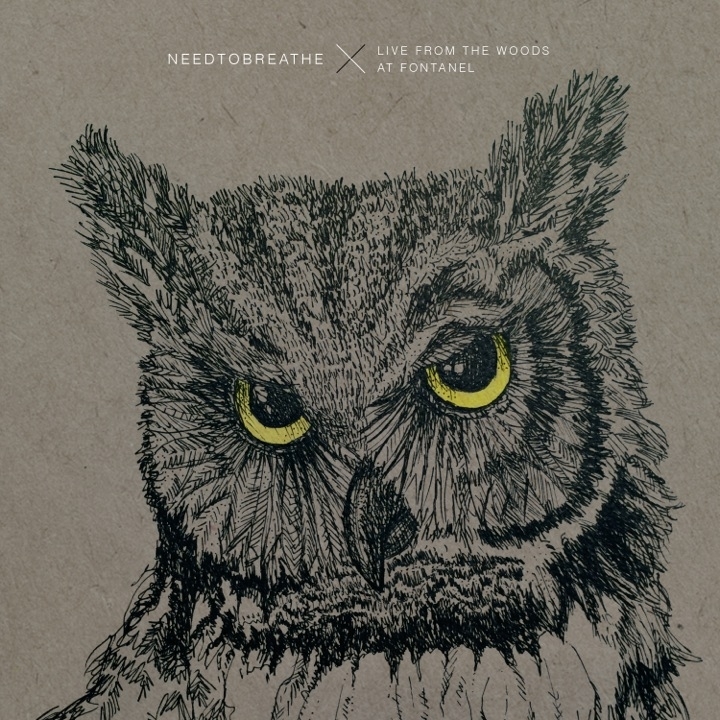 So, with 17 tracks on a jam packed live album, should you check out Needtobreathe’s latest project (even if songs like “Streets Of Gold”, “Slumber”, “Signature Of Divine”, “Shine On”, “You Are Here” and “Let Us Love” are all absent)? Yes, most certainly, you will definitely find a song or two that you will love! Guaranteed to be more popular in the mainstream industry in the years to come, I can’t wait to listen to the band’s new studio album whenever it releases; and Live From The Woods will definitely tie me over until then, and maybe by some more! Well done Bear, Bo and Seth; I will definitely recommend your music to many of my friends and acquaintances! A few more days until the official release date of til the new album! I can’t wait! If you can’t like me, check out the full album stream here!